The Corporate Slacker: She was the best of us. She was the best of us. Hidden among the opening credits of the film “Neerja” is a "Special Thanks" to Bombay Scottish School. Somewhere in the closing credits is a photo of the titular character as a schoolgirl, wearing the grey smock and navy-blue tie that was and remains the school uniform. 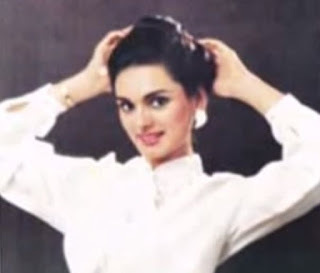 For you see, Neerja Bhanot, who died saving the passengers of PanAm flight 73 from terrorists on September 5, 1986, was from Bombay Scottish School, and she was the best of us. I clearly recall as well the big wooden boards bearing the names of those who had done the school proud over the years. Toppers in the ICSE Board exams, their names written year-wise, beginning from a time before the country obtained independence. Spend enough time in that hall and the names start to become familiar. I spent a dozen years there, and often wondered what they must have looked like, those long-forgotten souls, and what they would be doing now. But I never heard those names again, not in newspapers as people who had done something great, something wonderful. No doubt they went on to become professionals and businessmen, good family men and forward-thinking women, a credit to the school that shaped them. But you won’t find the name of Neerja Bhanot on those lists, though she was the best of us, and did more than the rest put together. Bombay Scottish School is all about prestige. It is a school with a history, a school whose students could stand tall in a gathering of elites from anywhere in India - essentially, it is Bombay’s answer to Mayo College and Doon School. Scottish was established before the Mutiny of 1857, it had a basketball court, a football field, a volleyball court and a badminton court in addition to a gym, a very well-stocked library, spacious classrooms and clean toilets, and teachers who were on the whole, more motivated and knowledgeable than their counterparts elsewhere. It taught – or tried to teach – its students the classic values of the Scottish Protestants who had been its founders – perseverance, fairness, respect. For all that, though, it was a playground of the wealthy. When I was there, the student make-up of the school was a mix of the children of the super-rich – actors, sportsmen, businessmen – and the upwardly-mobile middle classes. You wouldn’t find a typical Bollywood rags-to-riches story in Scottish. Everyone was at least reasonably well-off, most had a car or two and spoke to each other on equal terms. Indeed, class distinctions did not rear their ugly heads and neither, I am proud to say, did religious disharmony, even though we lived through the communal riots of 1992-93. But before there was 1992-93, there was 1986, when a young girl, just out of her teens, saved the lives of over three hundred and fifty souls, Hindus and Muslims and Christians, Indians and Pakistanis and Americans. 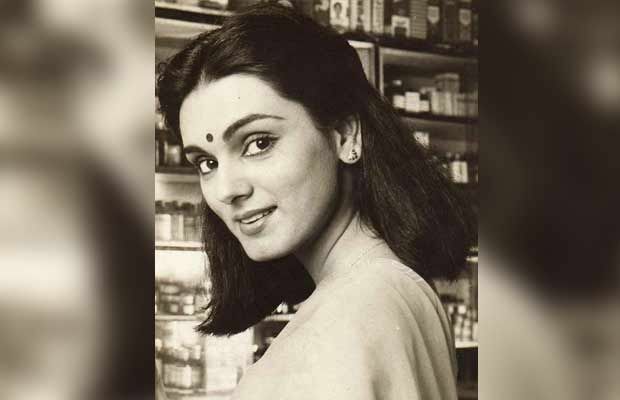 Her name was Neerja Bhanot, and she was the best of us. Schools are about more than buildings and facilities and teachers. It is their alumnus that distinguishes them. Other Schools boast of their Prime Minsters, their artists, their captains of industry and their sportspersons. A smattering of minor businessmen aside, Bombay Scottish’s only contribution to Indian history is to Bollywood. The Kapoor family has been a mainstay, from Shammi and Shashi in the fifties to Ranbir who was my contemporary. Amir Khan and his nephew Imran were there as well, so was Hrithik Roshan in his time, and for a while at least, Abhishek Bachhan. There were also John Abraham, Ekta Kapoor and her even-less-illustrious sibling and no doubt a host of other less famous names. No underdogs there - all privileged children of parents who had already done the work of getting their children up among the elite. No doubt there are sportsmen whose trophies are still dusted daily in that tall case outside the Principal’s office; sportsmen who have long since hung up their boots for a life of comfortable white-collared obscurity. Shields baring the names of powerful debaters whose eloquence restricts itself to weekly team meetings. Even, perhaps, certificates bearing the names of talented essayists who now write hack pieces like this for blogs that are hardly ever read. And one of those alumni was a lady named Neerja Bhanot, and she was the best of us. She showed what courage under fire really is. She showed us that a supposedly spoiled, pampered middle class girl from an elite school can be as brave, as resourceful, as much a martyr as a man with a big gun. That being an air-hostess (or steward) is not just about a pretty smile and a nice hairdo, but about staying calm under unprecedented pressures. 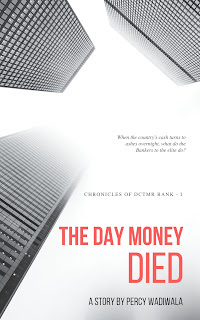 That sometimes, the so-called effete, coddled, much-reviled upper-middle-classes can throw up people just as brave, distinguished and heroic as those who have suffered from early reversals of fate, heart-breaking childhood poverty and unbelievably difficult circumstances. Sonam Kapoor at Bombay Scottish to promote the movie. She is the subject of a film that bears her name. A film on whose merits I am not qualified to comment, since I make no claim to understanding movies, as I have said before. Maybe the direction is good, maybe it is not. Perhaps Sonam Kapoor has done a stellar job, perhaps she has not. The story of Neerja Bhanot is a story that is powerful, and Ram Madhavani tells it simply, in a straightforward fashion, which is all that is needed. How much of it is perfectly true? I don’t know, but the movie has a ring of authenticity. Do I recommend that anyone who reads this should watch the movie? I don’t know, I don’t do recommendations any more, after all. But too few people knew she existed until the movie came out – at least now, those who did not know about her before are aware of this remarkable young woman. For that, I do thank the producers and the director and everyone else involved with this movie. As for me, I did know about Neerja, but then she was a legend at Bombay Scottish in my time. 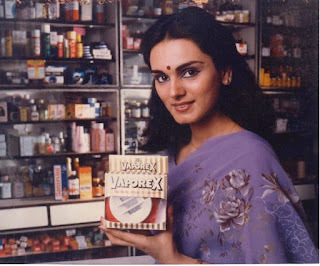 Neerja Bhanot was from Bombay Scottish School and she was the best of us. This came straight from your heart Percy, as is evident in every word you wrote, every sentiment you shared. Neerja's singular courage and your articulation, makes it the best thing I have read in a long time. Simple and strong, the way you present her supreme courage, drives the point home. The ones who walked before us, do inspire us infinitely. Now tell me, was Ranbir your classmate really? Ranbir was a couple of years my junior, his sister was my classmate. Beautifully written for a beautiful movie! I loved that ur piece isn't a review of performances, or a debate on what actually may have transpired that day (the usual course reviews on neerja takes). I loved the message in the movie, well brought out in ur blog, that regular, cheerful, pretty girls with doting parents are capable of bravery and of a lot more than the judgmental society around them gives them credit for. Cheers to the "finest qualities of the human spirit"
Yes, she was the best of us. I never knew about her until now. What a grand tribute. Books and the fascination of discovery.